Observation - Blue Beetle - UK and Ireland. 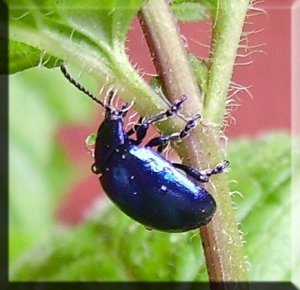 Description: I found this on my mint plant in spring. Does anybody know what it is? I found this on my mint plant in spring. Does anybody know what it is?